Personally I am a fan of this particular group of drugs. I first came across valium a few years ago and have enjoyed that wobbly relaxed feeling ever since. Once my contact for valium dried up I just stopped trying to source them as no one in my circle took them. When I was living in Leeds, as you may know, there are 2 headshops within spitting distance of each other (Dr Herman’s and Fantasia) which were dangerously close to my flat. 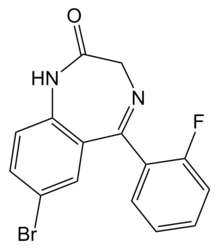 I saw one day that they were selling Etizolam pellets, I had never tried them but due to being relatively educated about these things I knew it was a type of legal Benzo so purchased some I did a bit of research of erowid, bluelight and drugs-forum, which I find are valuable sources of knowledge regarding harm reduction and various drugs. 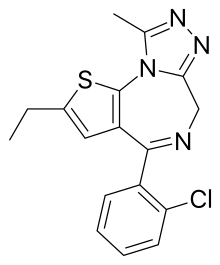 Diclazepam is functional analogue of Diazepam (valium), because it has never been approved for human use it is currently used as a designer drug. You can purchase Diclazepam easily in head shops (it is sold as a packaged legal high called “Get calm and carry on” although it doesn’t state how many mg per pellet and I haven’t been able to find this information anywhere online. 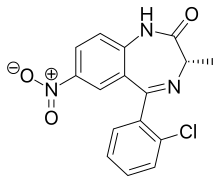 DIclazepam I find quite a disappointing benzo as it has more sedative properties than anxiolytic however, it still has it’s uses. It is an excellent sleep aid and is quite cheap from various vendors. Etizolam is my favourite of all the legal benzos I have tried. I find it quite recreational and less sedating. Me and my housemate have had many a wonderful afternoon with these little pills, walking into the walls and forgetting what we were doing, I even managed to walk face first into a stationery transit van whilst on these. 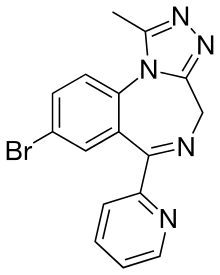 I have found that recently a lot of vendors have stopped selling Etizolam, I have done a small amount of research into this and I cannot find a definitive answer for the shortage. There are still vendors selling these pellets however. There has been no change in legislation so it is speculated that perhaps vendors are preparing for a ban however, there is nothing to suggest there is an up coming ban, another suggestion is that it is because Etizolam is scheduled medicine in some countries and vendors are looking for an alternative that is not used medically at all. Etizolam is still available in both the UK and US from various trusted vendors. I have only tried this one a few times but I wasn’t overly impressed, mainly due to the price. This particular benzo is more expensive than the others for some reason although there are glowing reports of it also. This particular substance was created in 1960 and has never been used for medical purposes, it was around 2012 that it was discovered as a designer drug. I think that I need to experiment further with this one and up the dosage to get a better idea of it’s affects. I will report back once I have tested this one again. I have never tried this one as the sites I usually use don’t stock this particular substance and the reviews I have read have not been that great, I will also be sampling this substance in the near future and reporting back with my experience. This is the first time I have actually heard of this particular substance, I believe it is quite new. There are some reports here from users. I will also be testing this substance and reporting back. 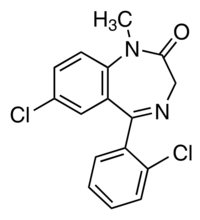 Again, I have no experience with this particular Benzo, however wikipedia claims it is has a similar structure to clonazepam and also has anti-parasitic effects, which may be a bonus depending on your current state of health. It seems to be that since the decline in etizolam sales, several other Benzos are now being sold to fill the void in the market, this is the very nature of the legal highs business, as soon as a substance is banned, another one is created which circumvents the current laws. Benzodiazepines are an incredibly dangerous class of drug due to their addiction potential combined with the vile withdrawls they cause. It is never recommended to stop cold turkey if you have a benzo habit as this can cause seizures, it is always best to taper your dose down. If anyone has any experiences with these chemicals, please add to the comments section. What a trusted websites ?